Work to raise Knysna Paddle Cruiser is continuing. 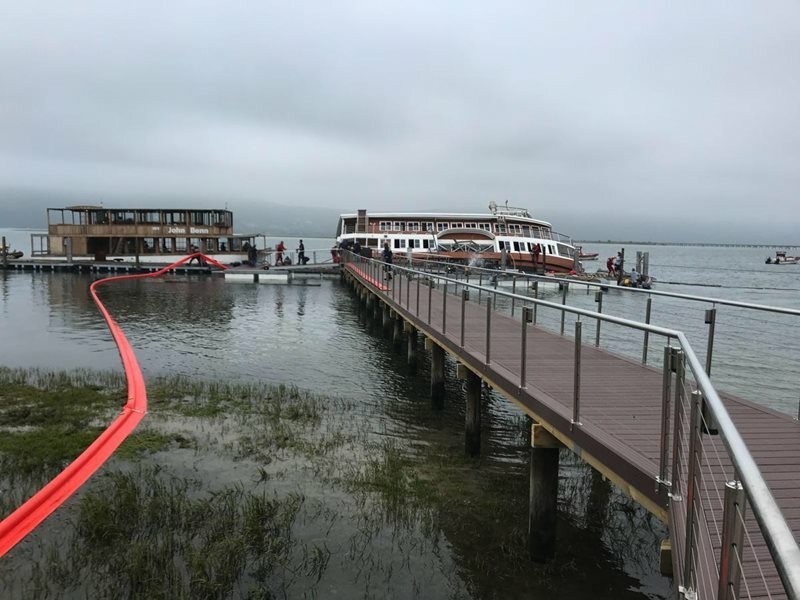 KNYSNA NEWS - Work to raise Knysna Paddle Cruiser is continuing after it was discovered partially capsized at its moorings on the banks of the Knysna Estuary during the early hours of Friday 12 April. The vessel had since been stabilised in position and expert divers and salvors had come from Cape Town and Port Elizabeth to prepare the boat for re-floating. Authorities confirmed on Monday that this work was still ongoing. Marine engineers and independent assessors are also investigating the cause of the accident.